We have to be realists and not to believe in the impossible. And when it comes to travels and crossing the borders, to think that we will cross without waiting is just funny! Is there anyone who has heard about crossing the border for 5 minutes – you just go, give your passport and done…? We do not think so! Waiting, waiting and more waiting – that is happen when we decide to escape for a while to some foreign country. – And more especially when we have to pass the customs check! So, do you know some way of faster crossing the border? NEXUS card – your guarantee that you will be always a few steps in front of the others and your best assistant with travels. The most valuable thing when crossing the border of the U.S. or Canada will be namely the NEXUS card, so if you do not have it just get it! But why we have to be holders of such a card? It is really so necessary to get it and can we travel well although we do not have a NEXUS card? – Well, if you really hate to wait instead to make more interesting things before your flight or after your arrival, then no doubts you have to become a member of NEXUS. On a very good price you will win lots of time and the most important thing – you won’t be nervous when you have to cross the border! By using the special kiosks located in several airports, you will be able to cross the border in the fastest way. And if you travel by car, being a holder of NEXUS card, you will have the pleasure to move on separately roadway – just like a VIP! To handle with your NEXUS card is very easy, available and even pleasant. The system of NEXUS is developed in such a way that every traveler to operates without any problems and wasting of time. And you need that time, right? 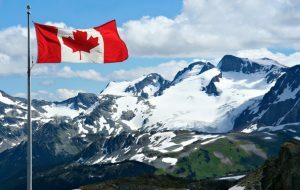 Be the first to comment on "Dream travel to Canada."